TAKE ACTION NOW: Constitutional Carry Oliver Gun Ban Stop the Gag Act Donate Join Today! 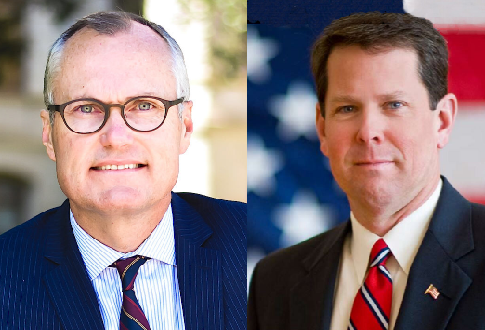 Despite thousands of calls and text messages into the Casey Cagle and Brian Kemp for Governor campaigns, both candidates refused to return the Georgia GunOwners Candidate Survey by our Monday deadline. You may remember their original deflection tactic was, “we didn’t receive the survey”. We know that not to be true because we hold the certified mail receipts here at our offices in Kennesaw indicating they did receive the survey. Even if that were the case, neither campaign asked for an additional copy, which also happens to be located right on our website for anyone to see. But it goes even further than that. For example, here is a screen shot of a text message exchange I had with Cagle’s campaign manager, Scott Binkley. The evidence is clear that Cagle and Kemp don’t think highly enough of Second Amendment supporters like you to bother putting pen to paper and answering specific questions about our cherished rights. That is the purpose of the Georgia Gun Owners Candidate Survey. We want to know where candidates stand BEFORE they are safely in office, so we can hold them accountable. The good news is that three Republican candidates for Governor — Michael Williams, Clay Tippins, and Hunter Hill — returned their Georgia Gun OwnersCandidate Survey 100%. Your grassroots pressure, calls and texts, into Tippins and Hill’s campaigns specifically, forced them to take your grassroots power seriously. Within the last month, we showed you video of Mr. Hill expressing support for moving the age to 21 for all gun purchases in Georgia. Once we produced the video, he quickly changed his tune, then on the day of your calls and texts into his personal cell phone, he returned the GGO Survey. That is the power you have as a Second Amendment activist in this state. With the May 22 primary election fast-approaching, I will produce more information about the candidates to help better inform you about their Second Amendment positions. As I’ve always said, when candidates refuse to go on record like Cagle and Kemp have done, it means they want wiggle room to cut a deal or support gun control in some form. There is danger to our Second Amendment rights in Georgia on the horizon. As soon as the General Assembly reconvenes in January, you can bet the gun-grabbers on the left and right will introduce bills harmful to our gun rights. That’s why it’s vital you and I stay active, mobilized and involved now more than ever. Please make a generous contribution to Georgia Gun Owners to help us keep up the heat! Thank you for all your activism and support! Georgia Gun Owners is a non-profit advocacy organization registered with the Georgia Secretary of State. Contributions or gifts to GGO are not tax deductible for IRS purposes.